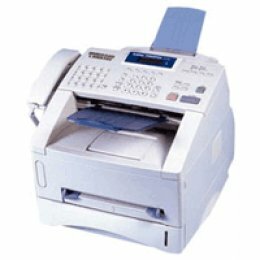 The Laser Class 2050P is a fax based MFP device, which delivers standard 6 ppm desktop printing and comes standard with Windows Desktop Printer Driver via USB. With Canon's LASER CLASS 2050P, advanced Super G3 fax technology is affordable for virtually any size business or workgroup. You'll benefit from the fast 3-second-per-page transmission speed, 6-page-per-minute print speed, a large memory of up to 256 pages, a 350-sheet dual paper capacity (100-sheet letter/legal MultiPurpose Tray and 250-sheet letter Cassette), a 40-sheet Automatic Document Feeder, and other productivity enhancing features. The Super G3 high-speed, quality faxing is further improved by JBIG compression and Canon's Ultra High Quality VI (UHQ� VI) digital image processing system. JBIG compression cuts transmission time by compressing image data smaller than ever before, while UHQ VI provides superior image quality. The LASER CLASS 2050P is easy to use. It all adds up to greater productivity and better cost-effectiveness for your business.